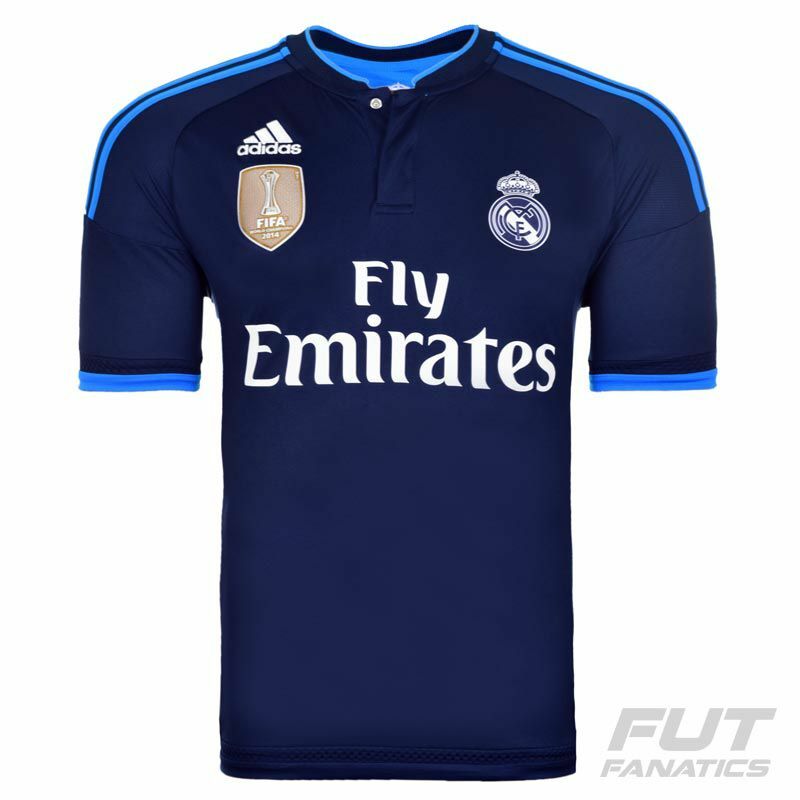 Adidas Real Madrid Third 2016 UCL Jersey More info. 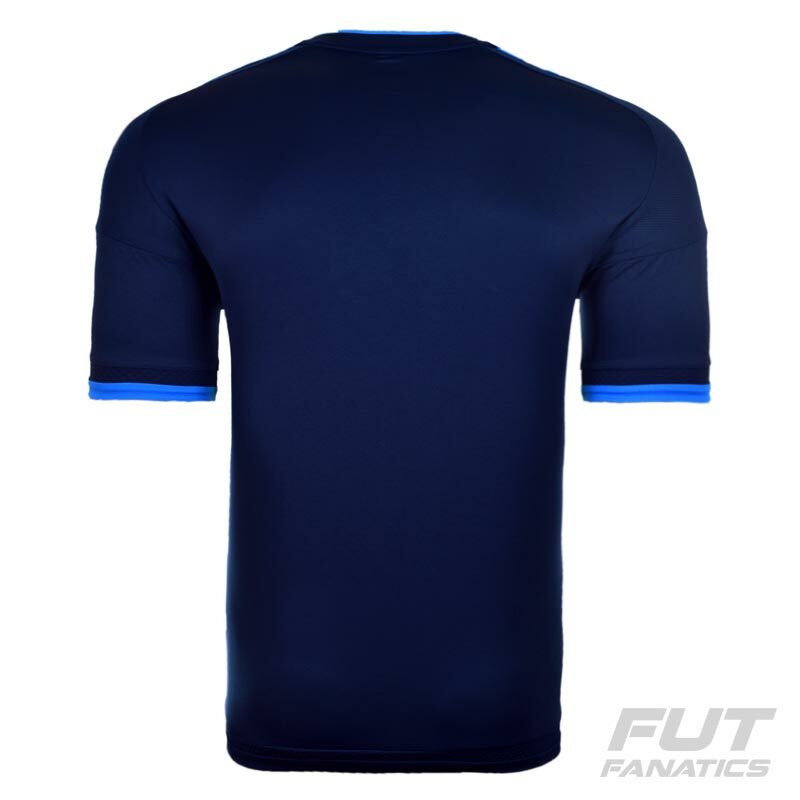 “Los blancos madrileños” will take the field in this pretty elegant Real Madrid 2016 Third jersey. Totally dark blue, a tribute to the magical Bernabéu nights, the Adidas traditional 3-stripes stand out in light blue. 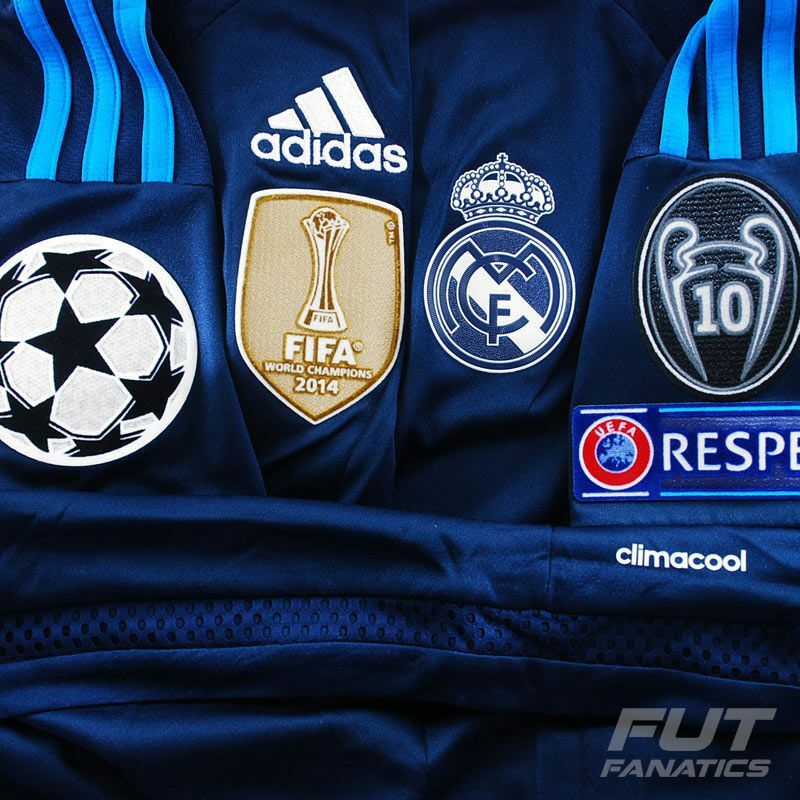 The FIFA Club World Cup Champions badge (2014) features on the right of the chest and stands out for its golden color. 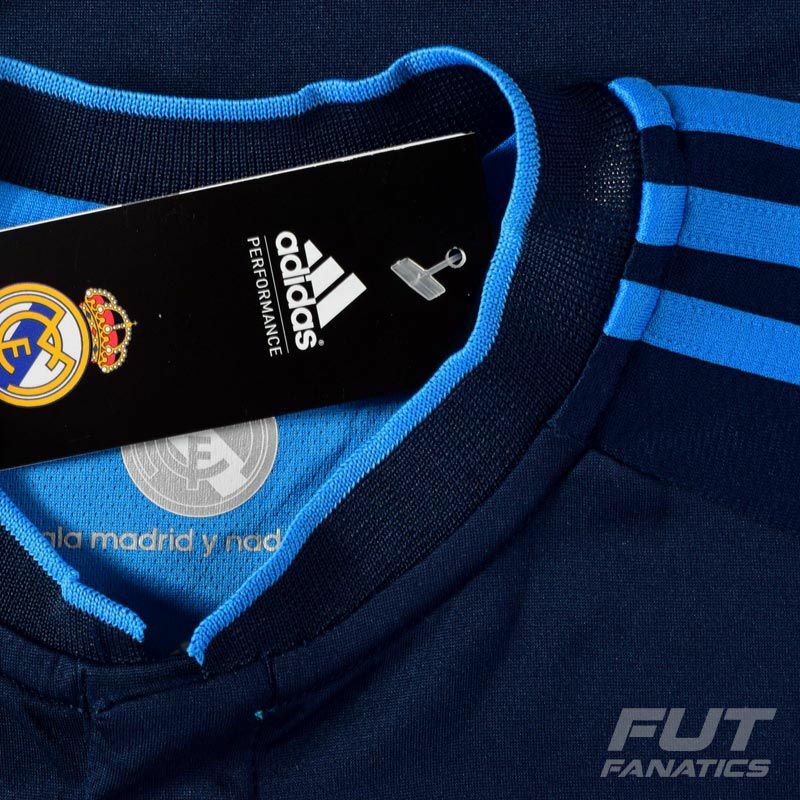 The team badge and the inscription “Hala Madrid y nada más” appear on the inside of the collar. It also features a new lettering, that brings a new typographic squared style to the names and numbers, with shadow and highlight.